Embodiment is not a series of ideas or concepts. 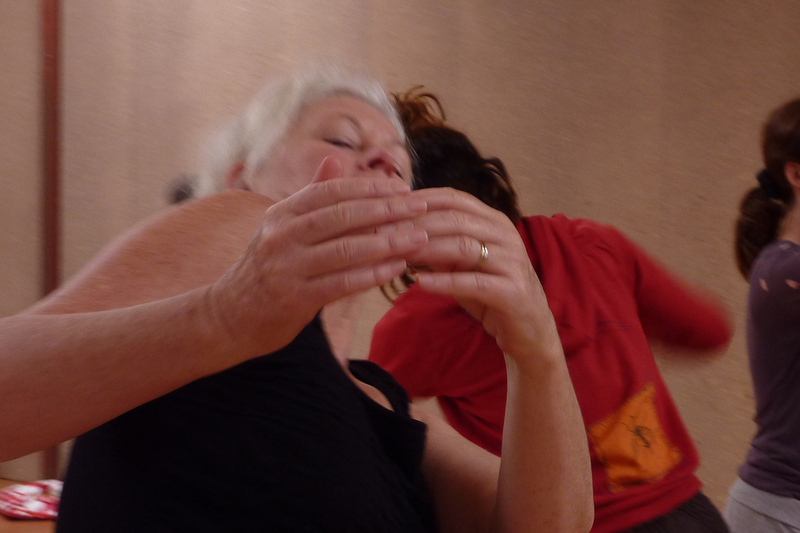 It is an experiential practice that engages with the world in a continuous and dynamic conversation. The Somatic Wisdom program began in January 2012 and continues for those people wanting to deepen their understanding of somatic work and its application in their professional and personal lives. The program is designed to offer practitioners from differing fields of creative arts, health, yoga and education, the opportunity to study, deepen and refine their engagement with Body-Mind Centering® and related somatic movement studies. Each module offers a specific focus and students receive personal attention and support for their learning and embodiment. Students gain confidence in assessing and discerning somatic integration problems and working ‘hands-on’ with clients in their work as health practitioners, artists, yoga practitioners, educators and therapists. 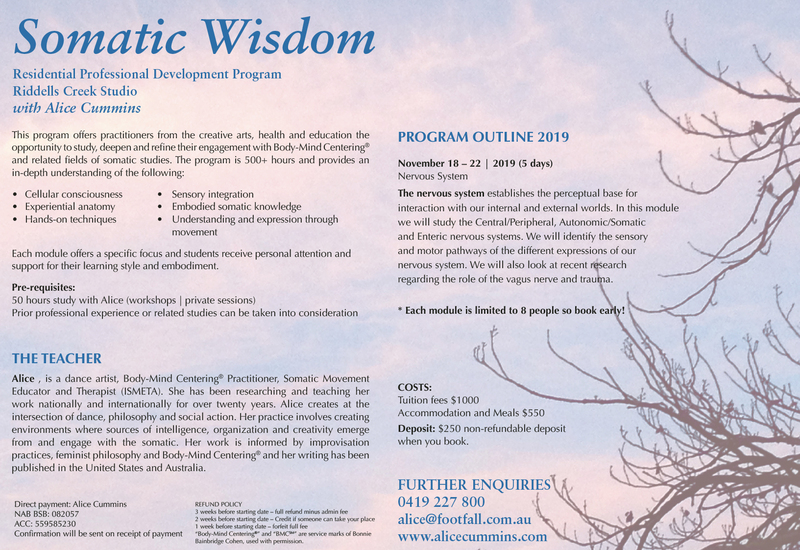 The Somatic Wisdom residential program is presented in a peaceful rural setting with only eight students each module. This small number creates the opportunity for an intimate learning experience, making it possible to support students’ individual process and learning style.